we took some pictures of the 70 plus group today(3-26-2019)which can be seen under the 70 plus tab.the summer schedule for st catharines is now available. for your information, i have decided to put paul james and dave baker as members of our association funds, both st. catharines and niagara falls. they will have access to our monies in case i am unable to do so myself. $20.00 annual fee starting in august this year. I want to thank ed strohak, who presented me today with two lovely shirts, I am sometimes overcome with his generosity. the standard article is now available along with 17 of the pictures taken that friday under the induction tab. I have added another must see video just below. ​Ed strohak has some information to relay to you all under the have your say tab. ​he also appeared in the standard paper which you can view under the gents 65 tab. This videos on the left is a must see for everyone especially guys new to the program. one of a few where i am actually in view. some of the guys are no longer with us for various reasons. 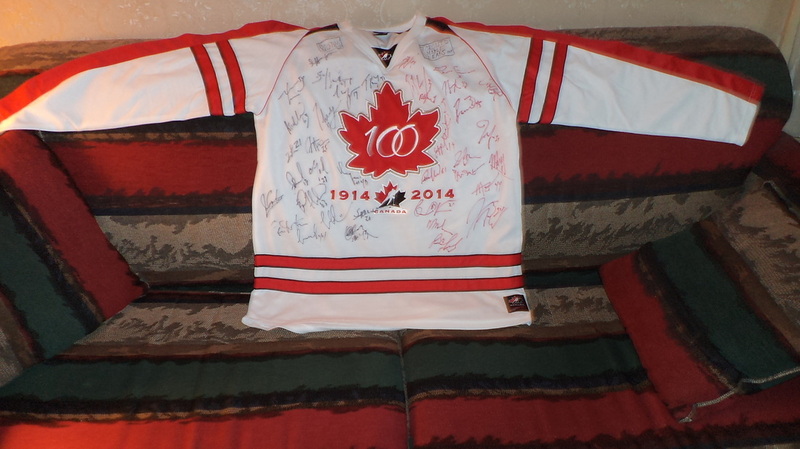 it was done late in 2010, i was 75 then, woody was 77. my recovery is very slow but i know one day i shall be back on the ice. 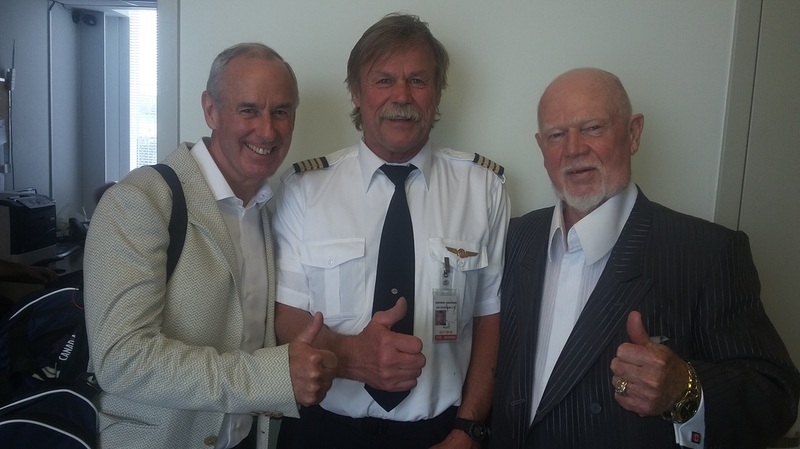 arnie jansen, one of our members who is also a pilot took a picture with two of my favourite people as they were flying to pittsburgh for last seasons playoff finals.